I’m a hot mess. Even on my better days. But you know what makes me happy all over? The fact that God looks past OUR best and focuses on HIS best for us. He sees our full potential when we are struggling to see even a small part of the puzzle. I don’t remember my dreams. Seriously guys, they’re usually the result of eating some weird combination of junk food before bed. So they’re totally random or I don’t remember them. Not these dreams though. These have been more like visions. I’ve only experienced 4 of them, but I will never forget them. They were so vivid and detailed. 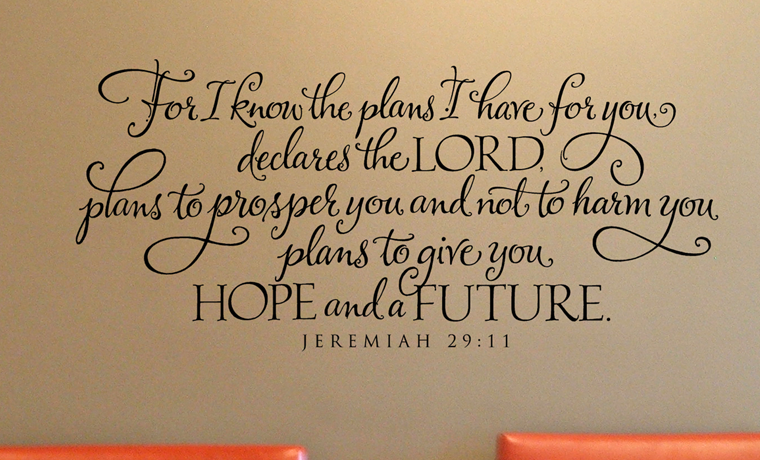 You need to know up front that my life verse is Jeremiah 29:11. “For I know the plans I have for you, declares the Lord, plans to prosper you and not harm you, plans to give you hope and a future.” God knew the plan long before you were planned. Dream 1 – I was standing on stage. Tons of people in the audience. Lights glaring. But it was black and white and muted. Kinda odd, huh? I thought so too. I wrote it off. I’m a youth pastor’s wife. I was probably just announcing a speaker or praise team. Back to sleep..
Dream 2 – Full color, extremely detailed. I saw my outfit down to the jewelry and shoes I was sporting on stage. I was speaking. I. Was. Speaking. Oh my Lord, you’ve got the wrong girl. There’s no way that will ever be me. Can I wake up now?? Dream 3 – Ok, I’m sensing a pattern here. Full color, fully detailed, me speaking. Again. I was on stage. I had the mic. Me. I wasn’t announcing anyone. I was the speaker. Ok God, are you saying you want ME to speak for you? Are you sure you’ve got the right person? Have you prayed about this, Lord? Dream 4 – This was the most recent and most detailed. 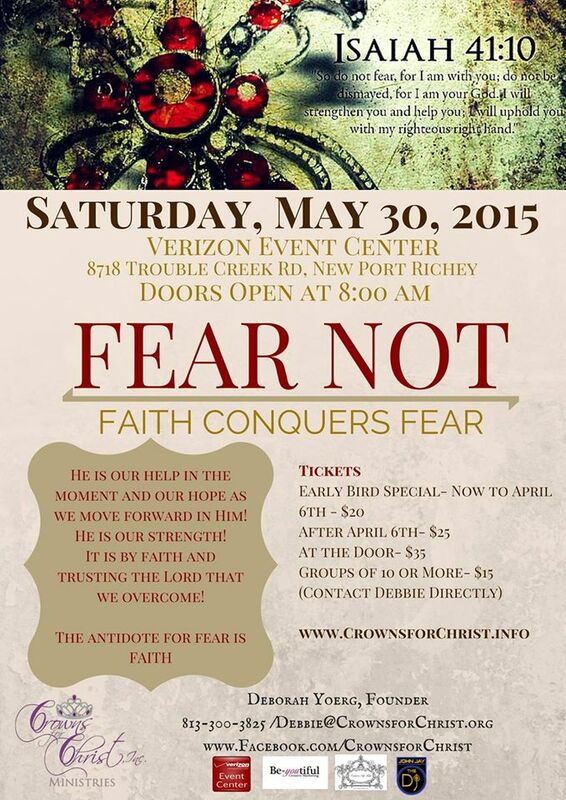 I was laying in bed with the kids silently praying about our upcoming woman’s conference. God, what is the message you want shared? Who do you want to be involved? You know how sometimes you pray and pray and pray some more and wait a while to hear God’s answer? Not this time. It was instant. Yes. Instant. He gave me the theme and a few pieces of the puzzle. It was almost like an out of body experience (don’t get all weird on me.) There I was, pacing back and forth at church with the mic firmly gripped in my hand. Passionately proclaiming the Word of God. Oooook God, I hear you. Loud and clear. I’ll stop being stubborn. I’ll do this for you, even if it means doing it afraid. Has God given you a dream? A plan? An idea that you just can’t shake? Could it be that it’s His perfect plan for your life? Fast forward. Present time. February 11th, 10:49am, 55 degrees, Trenton, FL. I just got off the phone with a woman who believes God has a divine plan for my life. And what’s crazy? She’s asked me to speak at her woman’s conference. What’s the topic, you ask? FEAR. Yep. Fear. F-E-A-R. The thing that’s been holding me back. I’ve been afraid to step out. For various reasons, really. My past, my failures, my age..
God is up to something. And if we will step out of our fear and exercise our faith – beautiful things happen. A woman was healed from a 12-year blood disease in an instant because she stepped beyond fear and grabbed the hem of Jesus’ clothes by faith. A man was healed because his friends weren’t afraid to tear the roof off the place where The Healer was teaching and lower their friend in faith to reach Him. The sun stood still for man named Joshua because he wasn’t afraid a to pray an impossible looking prayer of faith to a God who answered him. If we want to see God move in a mighty way, we can’t let fear paralyze us. Faith stomps on fear. Faith eats fear for lunch. I’m so humbled, y’all. I’m just a small town girl who serves a big God. A 26-year-old who is ready to leave the past – the ugly, jagged past – behind her and step out in faith. As scary and messy as it looks, I refuse to let fear hold me back. I nailed that to the cross at the last conference. Saying “yes” when it’s scary precedes big victories in the kingdom of God. Ask Rahab. Moses. Peter. Paul. All I can say is, GET READY! God is up to something and He wants to use YOU to reach people. Right where you are, right where you’ve been. He wants to turn your mess into a message. Because who knows this place like you do? You’re familiar with the struggles, fears and doubts. God wants to use you, beautiful. He really, really wants to use – y.o.u. Can we place our faith in the hands of The Potter? Let’s do this together. Have you stepped out in faith? I’d love to hear your story! Posted on February 11, 2015, in Purpose & God-given Dreams and tagged Faith, fear, Hope, live, love, plan, speak. Bookmark the permalink. 2 Comments. Oh girl, I’m so excited for you!!! I love it when the Lord is so clear on His direction. Our job is that of obedience to walk out that which He told us to do. The hemmoraging woman, is one of my favorite stories in the bible, she was so brave!!! We all wrestle with fear and oh how I wish I lived closer so I could attend. From Iowa, I’ll pray you up and cheer you on. I love it when the Lord is so clear on His direction. Our job is that of obedience to walk out that which He told us to do. His Job is to equip. The hemmoraging woman is one of my favorite stories in the bible, she was so brave!!! We all wrestle with fear and ho how I wish I lived closer so I could attend. From Iowa, I’ll pray you up and cheer you on! keep going hard after Him.